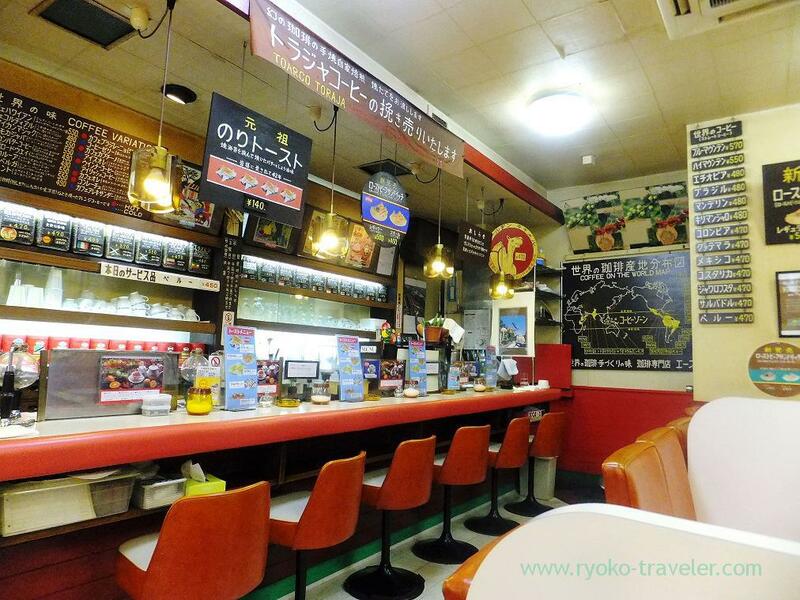 Showa period remains in Kanda. 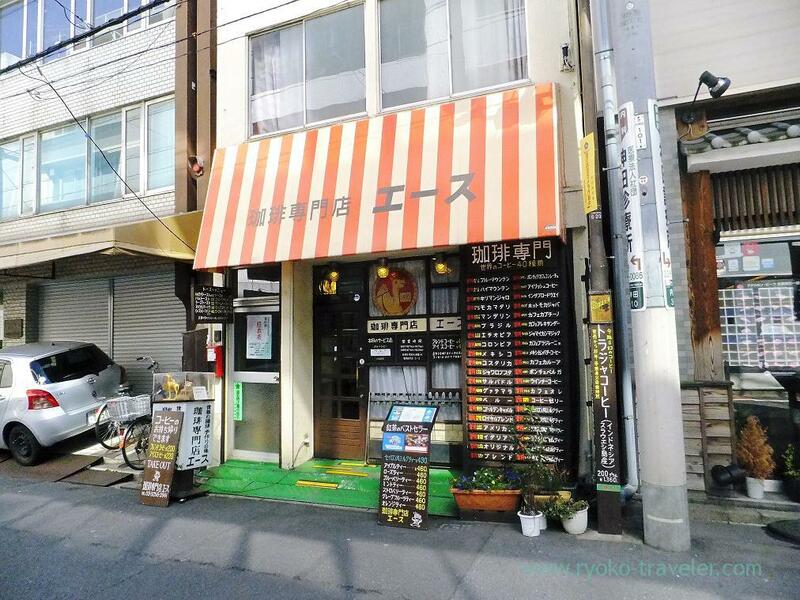 I rarely go to Kanda, but there’s my delight cafe named Coffee senmonten ACE is one of them. 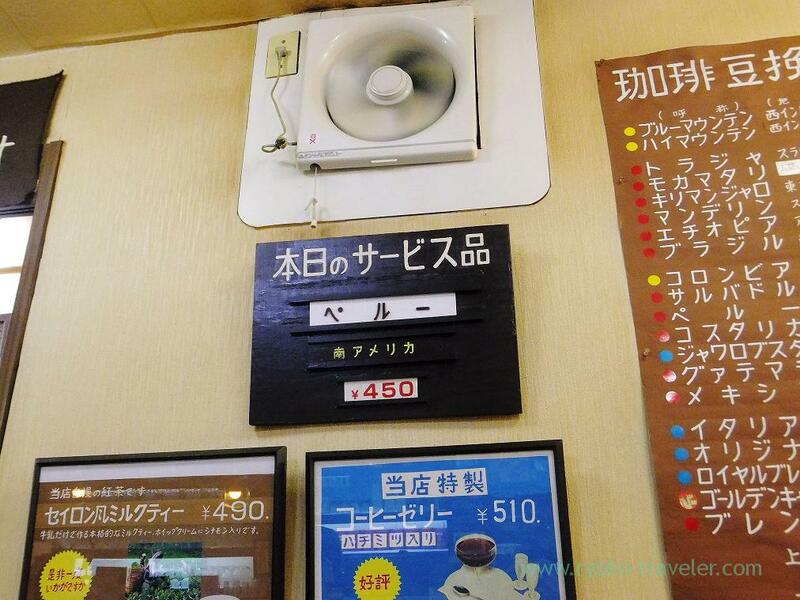 Don’t you think the signboard is retro ? They started their business in 1971. 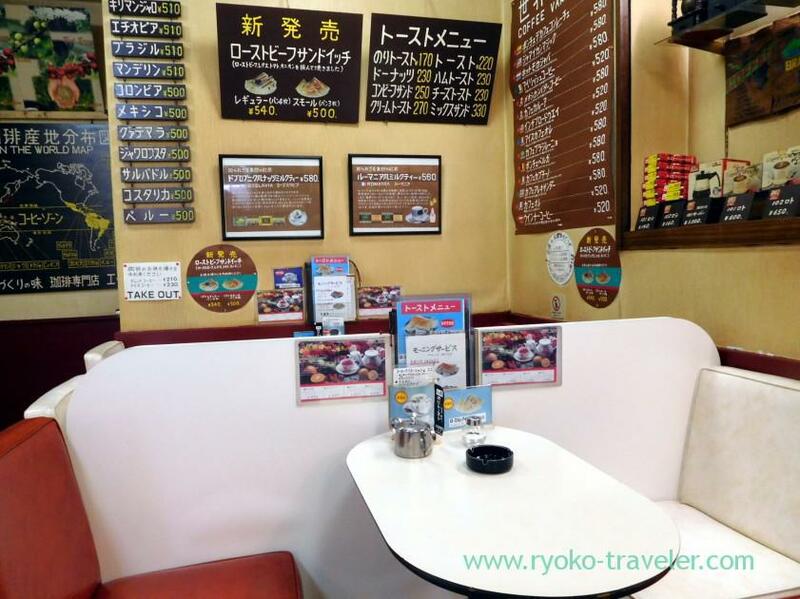 Like them who call themselves coffee specialty shop, they serves about 40 kinds of coffees. I don’t know a lot about coffee and I couldn’t choice one from many kinds of coffee, so I ordered a Today’s valuable coffee (本日のサービス品). 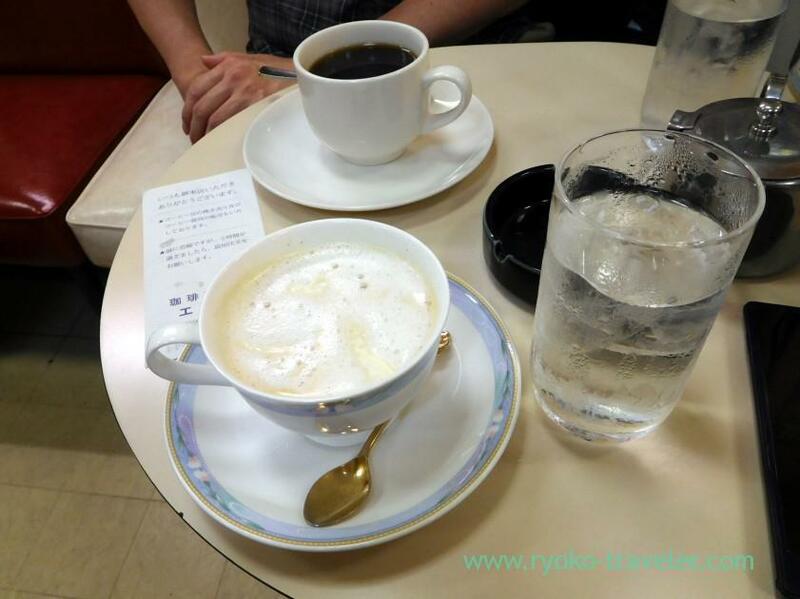 Today’s valuable coffee that day was Peru’s one and it cost me 450 yen 🙂 What coffee selected as Today’s coffee seems lower price than usual. 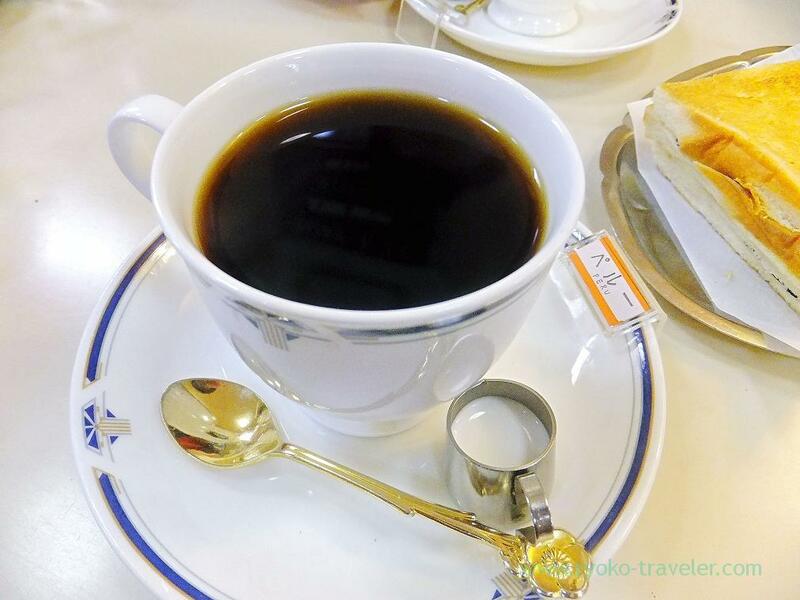 My coffee came with the word “Peru (ペルー)” on the tag attached to the edge of the saucer. Oh, my ! I had never seen such a tag ! And the tag is retro, too. The coffee was light and tasty. It didn’t have any bitterness. 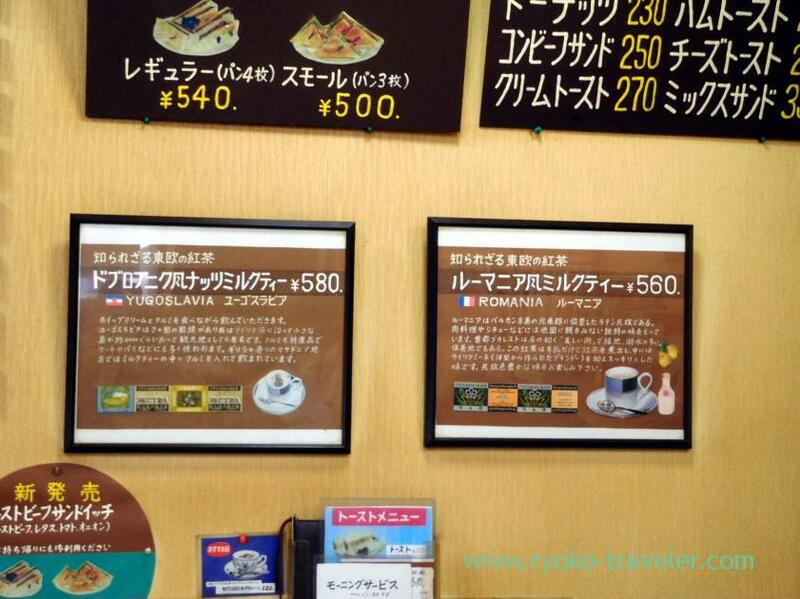 This shop recommends “Toraja coffee” at the shop. I didn’t know about that, so I googled it. Toraja coffee is cultivated in Sulawesi island of Indonesia. 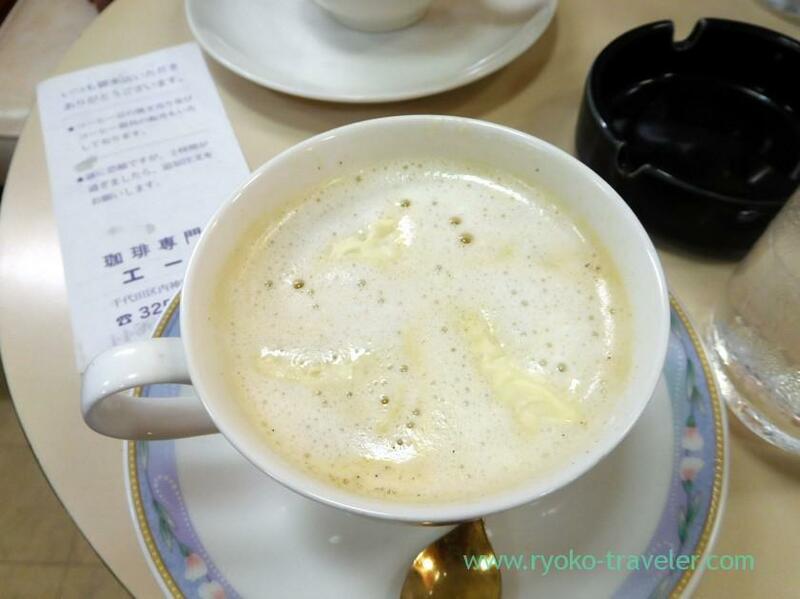 It is said to be the greatest coffee of Coffea arabica. Dear me, I want to try it ! By the way, this kissaten have a famous food. That is this. 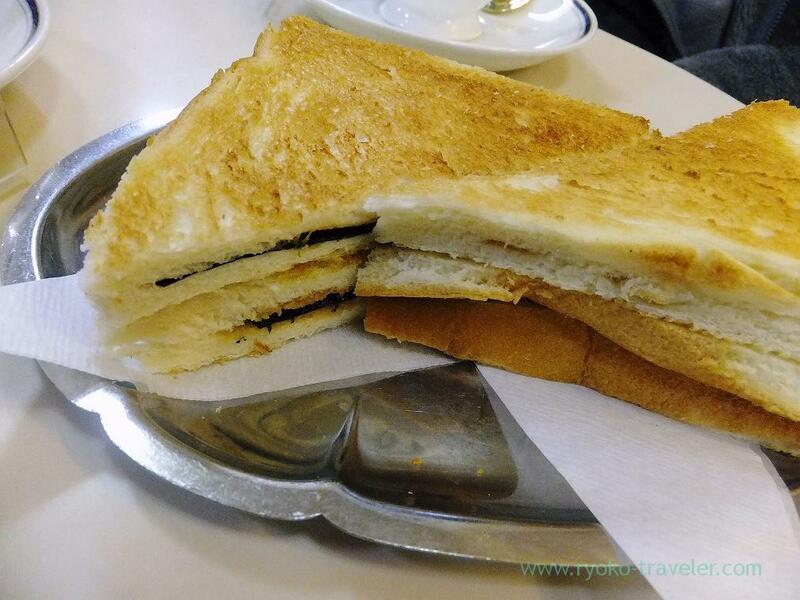 It is very simple food, sandwiched laver between breads coated with butter and soy sauce. But it was awesome. I might cook it at home… I’ll try it ! 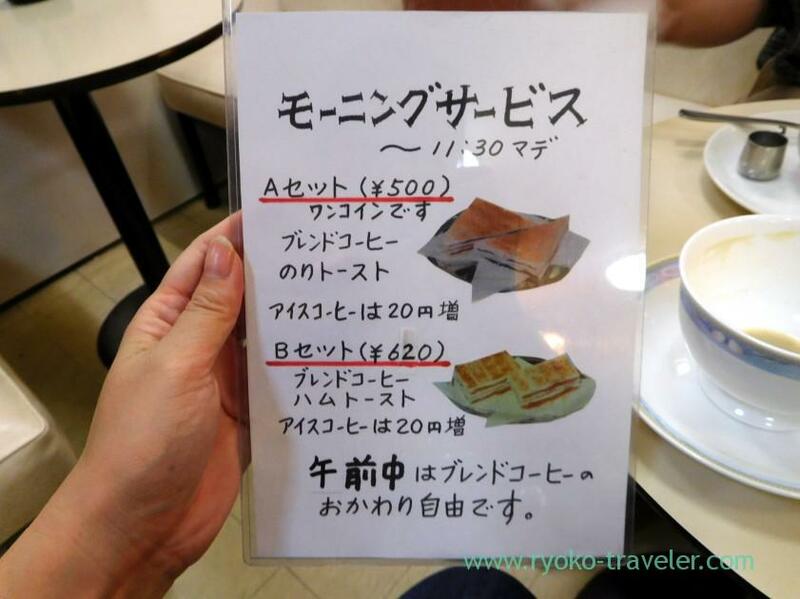 Ordinary toast is 190 yen at the shop.This seaweed sandwich is very inexpensive compared with another foods at at the shop. I heard that the shop didn’t rise the price of seaweed sandwich only though they rose another foods and drinks prices with past rising prices in Japan. 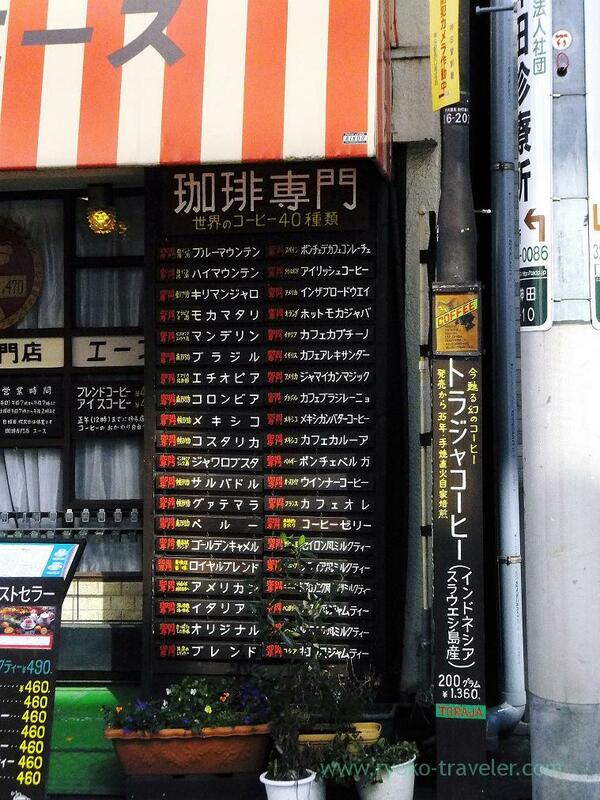 And, this shop sells much kinds of milk teas. Romania-style, Yugoslavia style…etc.